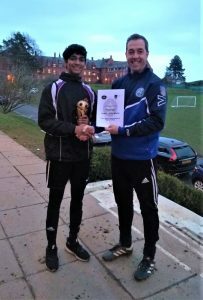 Head Coach Chris Morrell at IHM Football Academy at Ellesmere College proudly presents the January Player of the Month award to Saranga, aged 17 years. This is a fantastic achievement for a player as it is voted on by all his team mates. Saranga has really stood out this month with his consistent effort and positive attitude. 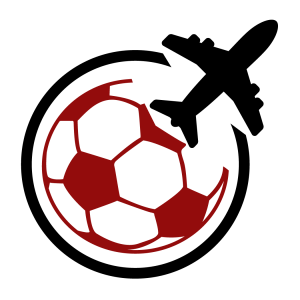 Students at Ellesmere College can enrol onto the full-time IHM Football Academy which allows them to train on campus most days of the week. Head Coach, Chris, is supported by David Raven. Both of our principal coaches at Ellesmere College come with a wealth of experience and training. 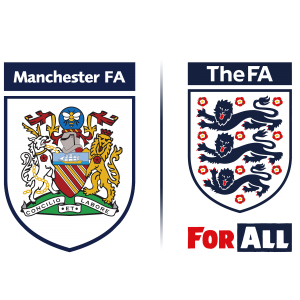 Chris is currently undergoing his UEFA A coaching licence with the Welsh FA, and comes to IHM Football Academy from his previous role at Salford University, where he led the football programme and coached the men’s first team at the university. As well as this, Chris has recently been working with a number of local clubs in the North Wales area.Taking on this leading role at the academy, Chris can draw upon his time in the Welsh Premier League as Assistant Manager of Llanduno FC and heading up the academy at Prestatyn Town. David Raven has enjoyed a 14-year career as a professional footballer representing clubs in England and Scotland. As well as playing in the English Premiership, the Scottish Premiership, League 1 and League 2, David has competed in Europe and in cup finals, winning the Scottish Cup final in 2015 with Inverness Caledonian Thistle. He started out as a centre back playing youth football for Tranmere Rovers, before moving to Liverpool in 2004, where on the advice of first team coaches, he first started playing full-back, a position he made his own when he moved to Carlisle in League One in 2006. Following stints at Shrewsbury Town and Tranmere he was signed by Terry Butcher at Inverness. At “Caley” David finished runner up in the Scottish League Cup in 2014 before winning silverware 2015, a year in which they also came 3rd in the Scottish Premiership. In his time with the club he also started his coaching journey, gaining his UEFA B in 2015 and his A licence in 2017 and training the clubs underage teams. Moving south in 2017, David played at Wrexham and continues to turn out for Warrington Town in the Northern Premier, and as well as coaching with IHM, he has coached at Wrexham and Everton. As a coach, David works to ensure players have the belief, desire to win and self-discipline needed to represent themselves and their team with distinction on the pitch.